WOO HOO!!!! It's finally here! Super excited to bring to you today these awesome #lunchboxinspo challenge collaborations from Instagram into one neat healthy recipe ebook. Please share with your friends and enjoy! A big thank you to all my Instagram friends, you are truly the best! Keep tagging and creating your amazing #lunchboxinspo creations as we can keep adding to this amazing collection and send out regular updates. Talking about amazing lunches, check what I whipped up! 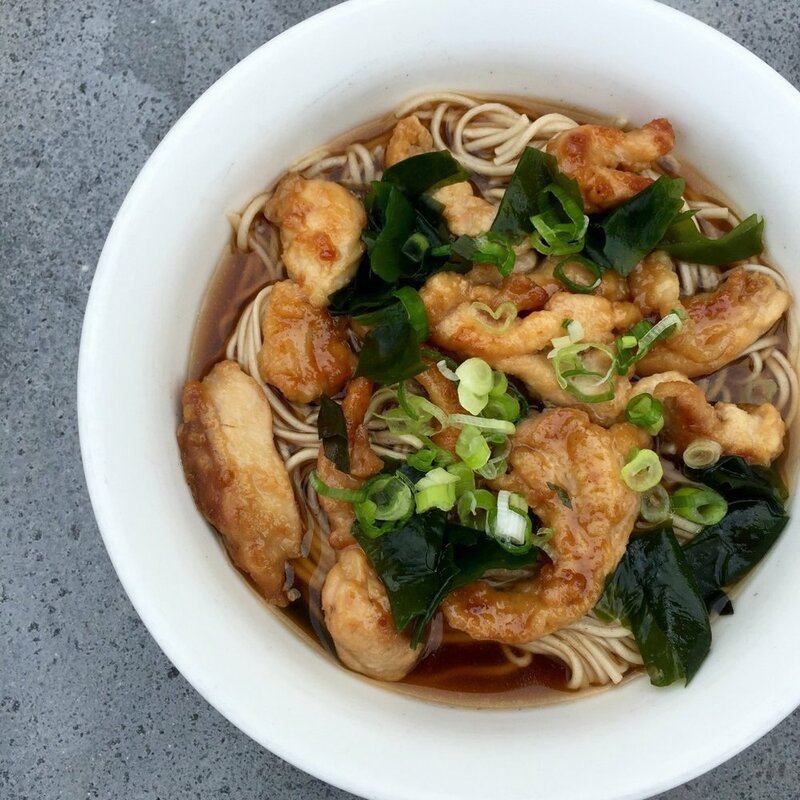 My version of a Japanese Soba Chicken Soup. I used buckwheat noodles, marinated the chicken with teriyaki and gently fried them in olive oil, then added some water to quicken the cooking process. I had some vegetable stock left over from the night before so I simply added loads of garlic, ginger, mushrooms, greens, soya sauce and garnished with spring onions and that's it! It was super tasty and quick.